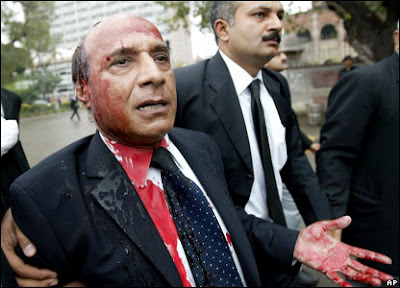 Chagatai Khan: Justice & Chief Justice in Pakistan. Justice & Chief Justice in Pakistan. LAHORE, Jan 15: All the federal and provincial employees, both officers and subordinate staff across the country, working in government departments and corporations established under an act of parliament, have been left with no judicial forum to agitate their grievances in service matters. Amendments made to different labour laws and judicial bodies since 1997 have virtually banned trade union activities and substantially curtailed the jurisdiction of labour courts, provincial labour appellate tribunals, National Industrial Relations Commission (NIRC) and other such forums. As a result, private and public employees and workmen have been left with almost no remedy in case of dispute with the management. Similarly, the changes in laws have hit trade union activities. They were barred from approaching the Federal Service Tribunal after the Service Tribunal Act of 1973 was amended on June 10, 1997, to insert sections 2(a) and 2-A to define a civil servant afresh. The new law enunciated that service under an authority, corporation, body or organisation established by a federal law or owned or controlled by the federal government or in which the federal government has interests, is declared as service of Pakistan and those holding posts in such departments shall be civil servants. However, the Industrial Relations Ordinance (IRO), 2002, ordained that the employees in federal and provincial service shall not be entitled to agitate labour courts to get their service disputes settled. The new IRO also removed the employees of the Pakistan Railways, Wapda and other public corporations from the labour courts judicial review. As a result, the employees working with statutory federal and provincial departments and corporations are no more entitled to move the Federal Service Tribunal and labour courts. The situation has also been clarified by superior courts which have held that only the employees of offices established under the constitution are civil servants and they alone are entitled to constitutional protection. Such offices include the president’s and the prime minister’s secretariats, establishments working under provincial governors and chief ministers and the Supreme Court and high courts. Such a decision was given by a Supreme Court bench, comprising then Chief Justice A R Cornelius and Justice Hamoodur Rehman, on March 31, 1964, in a petition for leave to appeal filed by a PIA employee against the decision of the Sindh High Court which refused to entertain his writ petition against his removal from his office. The judgment (reported in 1971 SCMR 568) said that the writ petition was not maintainable because the petitioner was an employee of a corporation which was a statutory body and did not enjoy the protection of the constitution (of 1956). The apex court did not grant the petitioner leave to appeal with the observation that the petitioner was not a member of a central or provincial All-Pakistan Service which alone was the public service. Hundreds, if not thousands, of these employees moved the provincial high courts throughout the country in writ petitions against the orders of the labour courts which rejected their petitions on the ground that the IRO 2002 did not entitle them to agitate their disputes with those courts. The high courts have also raised the question of the writ petitions in the light of the Supreme Court observations in the decision announced in March 1964. The high courts have during the proceedings held that they are not entitled to agitate their grievances through writ petitions as they do not enjoy the constitutional protection. LABOUR LAWS: The industrial workers and officers enjoyed legislative and judicial protection under the laws enacted in 1973, the year which saw a number of pro-labour laws being enacted. All government officers were entitled to move the Federal Service Tribunal without discrimination and the subordinate staff was provided with the right to agitate their disputes with labour courts. The legal cover to the workforce continued till 1980 when the WAPDA Act of 1958 was amended to insert section 17-A which provided that Wapda employees, including workmen, were permitted only to move the Federal Service Tribunal and they had no entitlement to approach labour courts. In 1993, the Pakistan Railways Act was amended to declare that the open-line network and infrastructure ancillary to the PR track across the country was a Ministry of Defence service where trade union activity could not be allowed. The new legislation thus excluded the two major employers from the judicial review to a great degree. Come 1997 and the government amended the Civil Servants Act of 1973 to insert section 2-1(a) and 2-1(b) to redefine the civil servant who “is a member of the All-Pakistan Service or of a civil service of the federation or who holds a civil post in connection with the affairs of the federation...”. They excluded deputationists, work-charge and contractual employees and those who were workmen. Lastly, a new IRO was enforced in 2002 which incorporated all the changes in the laws. The IRO also debarred all the employees of departments and corporations, established under an act of parliament, from the jurisdiction of the labour courts. As a result, the employees of the departments, other than those established under the 1973 Constitution, now had no judicial forum to agitate their disputes. The legal position was explained by the Supreme Court through a judgment in January 2006 in as many as 600 appeals filed by the officers and employees of the Pakistan Railways, Wapda and other public corporations against a decision of the Federal Service Tribunal which rejected their petitions for rights and privileges enjoyed by ‘civil servants’. 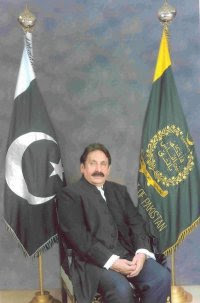 A nine-member full bench of the apex court, headed by Chief Justice Iftikhar Mohammad Chaudhry, held that the appellants were not civil servants as defined in section 2-1(b) of the Civil Servants Act, 1973, and thus had no remedy available before the Federal Service Tribunal. As for the alternative remedy, the apex court said that the cases decided finally by the SC would not be re-opened and review petitions would be heard independently. All other appeals, the judgment said, shall stand abated. CIVIL COURT: As for the alternative remedy, the only opportunity available to them is the civil court under the doctrine of master and servant, as held by the Supreme Court in an appeal by a Wapda employee decided in 1991 and reported in 1993 SCMR 346 by a SC bench headed by Justice Ajmal Mian. The judgment said when a statutory corporation did not frame service rules and enjoyed the discretion of being the sole arbitrator in regulating service terms and conditions, no suit or writ petition would be competent. In such a case, the Supreme Court held, the remedy available to the employee is under the doctrine of ‘master and servant’ in suit for damages (before a civil court). As a consequence, the employees are left with the only remedy of moving a civil court in a suit of damages. REACTION: All-Pakistan Workers Confederation secretary-general Khursheed Ahmad said that denying the right for redressal of grievances was unconstitutional. Talking to Dawn on Monday, Ahmad said that door of all the judicial forums now stood closed on hundreds of thousands of employees of public sector corporations through successive changes in different laws which was a gross injustice. Such a situation was frustrating where social security institutions stood weakened and the government was also not giving unemployment allowance to the jobless. 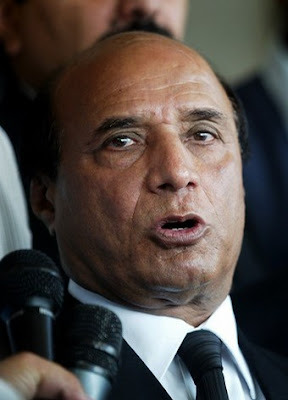 Ahmad, who heads a united front of eight nationwide trade union federations, said employees in public and private sectors had virtually been left on the the mercy of managements. The PWC secretary-general also mentioned the President (Special Powers for Removal from Service) Ordinance, 2000, saying it was a repressive law which empowered the federal government to remove any employee from service without serving him or her a show-cause notice and giving him an opportunity of defence. State of Pakistan's Economy and Kerry Lugar Bill.